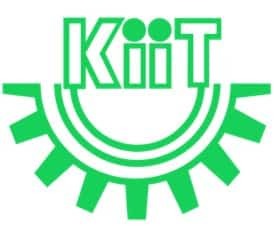 KIITEE Counseling 2018 wants to begin after the last month of May 2018. The candidates will have to attend the counselling in person. During the council of KIITEE 2018, the candidates will be required to get registered and get the documents verified. The merit holder will be allocated seat, only if they fulfill the eligibility criteria. Note – Cash payment will not be accepted and the candidates will have to submit the balance fee by June 2018. M.Sc. Nursing – B.Sc. Nursing/ B.Sc. Hons. Nursing/ Post Basic B.Sc Nursing Marksheet & Pass Certificate, Registration Certificate issued by State Nursing Registration Council and Work experience Certificate after Basic B.Sc. Nursing/prior or after Post Basic B.Sc. Nursing. A letter from the candidates, allowing parents to make decision on his/her behalf. Identity proof of the parent(s). A certificate mentioning the name of the parent (like Birth Certificate, class 12th Certificates, etc). It should be noted that admission granted under this scenario will be provisional. The seat allotment letter to these candidates will only be provided after biometric verification of the candidate. The KIITEE University awards scholarship to meritorious candidates.